I attend a weekly networking meeting ( http://www.bni.com/) with a group of other business people who meet in order to both grow their own businesses and to help to grow the businesses of the other group members whom they have come to know and trust. As part of the weekly meeting, each person stands and gives a 60 second “commercial” and though these are generally free form, today we were asked to work off of a theme – “Super Heroes”. Though I was always fascinated with the stories, abilities and powers of these comic icons, I can’t say I was ever a comic book aficionado so in order to choose my hero – I needed a little help from a friend – and the internet. So my question was – which female hero had “intuition” as part of her super powers? 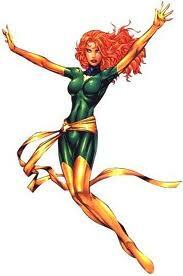 The answer was Jean Grey ( http://en.wikipedia.org/wiki/Jean_Grey) who it turns out – turns into “Phoenix”. And even before I read about the character – the name itself let me know that this was “the one”. Since my coaching business, Firebird Life Coaching ( http://www.firebirdlifecoaching.com/) derives its name from the mythology of the Phoenix – I knew right away that it couldn’t have been a better fit. So as I gave my “60 second” this morning – drawing the parallels between myself and my super hero alter ego, Phoenix I was struck by the elements of the story which resonated with myself and my work. According to Wikipedia, Jean Grey held degrees in psychology and was a caring and nurturing figure. Her particular strong cards of telekinesis and telepathy allowed her to “read, influence and communicate with the minds of others”. “Check” I said to myself as I read along, those last bits would apply to me and my work. Occasionally, as the Phoenix, Jean would physically manifest as the firebird – and use her flames to “burn away what doesn’t work”. (Okay, I do stay in human form most of the time – but my work with my clients very often contains elements of awareness and release of old patterns of behavior which are no longer useful.) And then there was the death/resurrection piece, a strong symbol for creating yourself anew which often is one of the products of coaching. And finally, with the Phoenix being the manifestation of Jean’s true potential, I couldn’t help but think about how that resonates with my desire to help my clients do the same in their own lives. And the funny thing is, not only did I relate to my new found alter-ego, as we went around the room, I found that I was surrounded by Super Heroes. Somewhere inside each us lies abilities, powers and gifts which we choose to manifest or not. Why not bring them to the fore? The world could use a few more Super Heroes today and wouldn’t it be nice to manifest your potential? Your don’t need the cape, the x-ray vision or the lightning bolts to be a hero, in fact many of the heroes people talked about today were the friends and loved ones in their lives who touched and helped them along the way. Heroes come in all shapes and sizes and each of us has our secret power/s – I challenge you to dazzle us with yours. Whether you find your comic-book counterpart or your own unique gift – it sure is a shame not to share it. Shazaam! 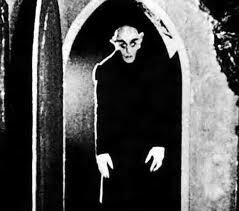 Vampires and Zombies – they’re all over the place these days. Movies, television shows, video games, books; no matter where you turn the un-dead are there – we are surrounded – better stock up on garlic and weaponry. What’s going on – why have we as a society become obsessed with these blood-sucking, flesh-eating creatures? It’s not like they are new subject matter in the storyline of human nightmares – but the preponderance of media focusing on these to classes of ghouls has got to be at some new sort of record high. And that got me to thinking – why??? Well, I guess the first most obvious reason is – stories about vampires and zombies are selling these days. The networks and executives who are “in the business” can certainly recognize that there is money to be made in the un-dead market – and not wanting to miss out on a fast buck with the latest craze, spin-offs abound. Each new product with its own “niche market” – handsome young vampires geared toward the fantasies of pubescent teens, and vacation islands overrun by bikini-clad zombies offer a new target for teen boys’ first-person-shooter games. This isn’t your mother’s “Dark Shadows” world http://www.metacritic.com/feature/best-and-worst-vampire-tv-shows out there anymore, and everybody wants a piece of the action. And while this, I am sure, is part of the answer it just didn’t feel like the complete explanation to me, as I thought about it just kept feeling like there was more to explain – why now. So here’s my theory… Right now, the truly frightening reality is that the world is a scary place for most folks. Everyone has a sense that there is some life-sucking monster behind every door – slowly, relentless pursuing them and shaking the very foundation of security that they had worked so hard to create. And it’s not just any old monster, it’s dead already (so you can’t actually extinguish it – unless you have special knowledge and skills to help you do so) and because it’s dead – it really has no feelings and if it catches you it will not just kill you but it may turn you into “on of them” as well. Yikes! There are always going to be ghouls praying upon your worst nightmares and many times it feels like you just can’t wake up. But I have to say I truly believe that – you absolutely can. Sometimes it isn’t easy, fear can definitely paralyze you and you may find yourself falling right back into your bad dream. It requires work and effort and sometimes the soothing voice of a partner at your side, but it can be done. Leave the zombies and the vampires to battle it out like Godzilla and Mothra of yesteryear – you’ve got sweeter dreams to make come true.